For some businesses, when the clock strikes 5 o’clock, that is it. The end of the working day. Time to get in the car, go home, and not have to think about work again until 9 o’clock the next morning. However, it is not the same for all businesses. For many businesses, particularly small businesses, start up businesses and businesses providing a service “out of hours”, you need to be available to your customers and potential customers outside of the usual “9-5” category. However, many of these businesses will not want to be sitting in offices all through the night either! One solution is to advertise different clients to your numbers – one for during office hours, and one for outside of office hours. But is a bit of a messy solution, and could still lead to you missing calls if people don’t see both numbers or don’t want to use them. A far better alternative is to just have one phone number – be it an 0800, 0845, 0844 or local phone number – which changes where it is pointing to depending on what time of day it is. This feature is called Time of Day Routing. You give us a plan of which phone numbers you want your calls pointed to and at which time, and we do the rest. So, they can point to your home phone before work and in the evening, your office number during the day, and your mobile during your commute. Its up to you – and you can change it if you work pattern changes. For more information, please call us on 0800 142 2499 or click here to visit our website. Our “Call Whisper” feature is one of our most popular features. Here’s why. When you get an 0800 number, 0845 number, 0844 number or virtual number pointed to your existing landline or mobile number, you are receiving calls from two different numbers (or more) on your phone. If the phone number is for business only then this might not be a problem. But if you are a small company, and you are pointing an 0800, 0845, 0844 or virtual number at your personal mobile or landline phone, then you will be receiving both personal and business calls, and until the caller starts to speak to you, you will not know what type of call it is. Call Whisper is attached to the number pointing to your phone, and plays a short message of your choice when you receive a call to that number. So, you could answer the phone and hear a message saying “Business call” and so know to answer the phone in a professional manner, perhaps saying the name of your company. The person calling you doesn’t hear the whisper, they just hear a continuous ringing, whilst you always answer the phone the correct way. For more information, please visit our website or give us a call. 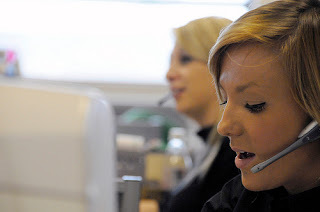 We offer three different types of 0800, 0845, 0844 and virtual phone numbers. 1. Numbers that point to landline phones. 2. Numbers that point to mobile phones. 3. Fax to email numbers. Today we are going to look at the third type. Fax to email numbers are available as 0800, 0844, 0845 and virtual phone numbers. If you have any of these already as phone numbers, then you might want a fax number to match. At the same time as replacing your old fax number, you can get rid of your old fax machine by getting a fax to email number. When someone sends you a fax, it will be converted to a PDF document and sent straight to your email inbox. This means you will no longer have a need for your old fax machine. As well as saving you space in the office, this will also save you electricity, paper, ink, toner and time. With an ordinary fax machine, you have to leave it switched on 24 hours a day, 7 days a week so as not to miss any faxes that are sent to you. With fax to email, you just turn your computer off as normal at the end of the day, and when you next open your email inbox, the fax will be there waiting for you. You don’t have to print it out if you don’t want to – you can save it with your other documents on your computer, or you can delete it. You have that option – unlike with a normal fax machine where every page has to be printed, and normally ends up in the bin. For more information about our numbers, click here to visit our website. … with our absolutely brilliant inbound call recording feature. This is just one of our added value features which you can choose to add to the 0800, 0845, virtual or 0844 numbers that you have from us. The feature records your inbound calls for you. You can choose whether we record all of your inbound calls, a selection of your inbound calls, or we can set it up so that you choose during the phone conversation whether or not it should be recorded. Most of our customers choose to record all of their inbound calls, but it depends on the aim of the recording the phone calls. For example, if you just want the call recordings for training purposes, then a selection of calls is fine. However, if you want the recordings so that you can keep accurate records of what you and other people have said, then recording all calls is probably the best option. It means you don’t have to worry about making notes during the phone call, won’t have to worry about having forgotten any details, and there can be no argument about what was said or agreed. When the call ends, the recording is sent to you in an email, so you can file it with other documents and files relating to the client or business, or delete it if you don’t need it. For more details, visit our added values feature page. When a customer or potential customer calls you, first impressions count. You therefore want them to receive a friendly, professional welcome to your company. You can add our “Greeting Message” added value feature to your Virtual or London phone number, or your non-geographic 0800, 0845 or 0844 number for just £5 + VAT set up and £5 + VAT per month service charge. We will create a greeting message to say whatever you would like it to say. It can tell them that their call will be answered shortly, or that their call is important to you, or can contain your slogan – anything you would like it to include! When a customer or potential customer calls your business, the first thing they will hear will be that greeting message of your choice, giving them a friendly, professional welcome and thanking them for calling your business. It is therefore an incredibly important marketing tool. When the greeting message has finished, the call will then be connected. The feature will have made your company look professional and thorough. To add the “Greeting Message” feature to your phone number, call us on 0800 142 2499. The Virtual Number Company has virtual phone numbers for nearly 500 different UK towns and cities. Why do business choose to use virtual numbers? Businesses often like to have local numbers for areas that they operate in, as they know that many potential customers prefer to use a local business rather than one that is based a long way away. By pointing a virtual number at your existing landline or mobile phone, when someone rings that number it goes to your existing landline or mobile. So, for example, if your offices where you take all calls and process jobs are in Birmingham, but you are wanting to do business in Lancaster, York, Sheffield and Leeds, then you have virtual numbers for all of those areas which you advertise in those areas, people call what appears to be a local number but come through to your offices in Birmingham, giving the appearance of being a local company. Businesses therefore choose local numbers when they are doing business in an area but don’t have premises there. They also often choose them if they don’t have offices and wish to receive calls on their mobile. Calling a mobile number often puts potential customers off, but this problem is solved by pointing a virtual local number to it. If you decide to buy one or more of our fantastic 0844 numbers, you might also want to consider adding one our more of our fantastic added value features to your package. We have a list of nine different extra features which you can add to your number, and you can pick and choose which features would be most helpful and convenient for you. These include IVR or Auto Attendant. If you add this feature to your 0844 number, when somebody phones your business they will be invited to press 1 for one department, 2 for another department etc. You can customise the options to say whatever you want them to say. You can also welcome callers and thank them for calling. If you have a large company this allows you to put calls through to the right department quickly and efficiently. If you have a small business, you can point all of the options to the same number, but give your callers the impression that you are a larger company. Other features include call queuing, where you can hold your callers in a queue until a receptionist becomes available to answer their call; call recording of inbound calls, which allows you to record your calls and then have the recording emailed to yourself; and voicemail, which sends your voicemail messages to your email inbox. The Virtual Number Company offers a wide range of virtual numbers for nearly 500 different UK towns and areas. By far our most popular is the virtual London number. This is the 020 number, although often it is sub divided into 0207, 0208 and 0203 numbers. These exist for historic, geographic reasons, but any number starting 020 is a London number. These are hugely popular because a London 020 number announces to customers, clients, business partners, suppliers etc. that you are a London business, and if you are a London business, you’ve made it – you have a base in the capital city and you are a company worth dealing with. The problem with being based in London is that it is incredibly expensive for a number of reasons. Owning business premises there are extremely expensive, as is renting them. Living there is expensive, eating there is expensive, travelling there is expensive. A much cheaper alternative is to live outside of the M25, and have a virtual London number pointing to your landline or even your mobile, giving you the impression of being a London business and therefore all the benefits that brings, without the costs. Our 0844 numbers point to either an existing landline or mobile phone number, or you can get an 0844 fax to email number. 0844 numbers are non-geographic, meaning they are not associated with any specific area in the UK. Because of this, they are viewed as national numbers, and therefore give your company the appearance of being a large, national business, even if it is not! We only have a 30 days cancellation policy, and aim to connect you within minutes. We are delighted to announce that we have increased the rebate that the owners of our 0844 numbers receive from 1p per minute to 2p per minute. This therefore means that not only do owners of the number continue to pay nothing to receive calls if the 0844 number is pointed to a landline, but they will now get double the amount of money back for each call received, meaning that if your company gets a huge volume of calls, an 0844 number could not only save you a phone bill, but also ensure that you get a significant addition to your company income each month. 0844 numbers are often overlooked in favour of freephone 0800 numbers, but 0844 numbers might be a better option for your business if you’re only just starting up. This is because, although 0800 numbers are free to the person calling from a landline, they are not free to the person receiving the call. Although they look impressive to customers and potential customers, and are a great marketing tool, you need to be able to make sure you can afford to have one. If you’re expecting a large volume of calls, and you haven’t got a large budget, then an 0800 number might not be for you initially, not until you have grown a bit. 0844 however gives you a rebate of 1p per minute on all of the calls that you receive, so instead of paying to receive phone calls, you get paid for receiving the calls. If you have a large volume of calls, this can stack up and help your business develop and grow quite nicely. One of the questions that we are frequently asked at The Virtual Number Company is: what is the difference between the three different types of London phone number – 0203 numbers, 0207 numbers and 0208 numbers? The short answer is that nowadays there is no difference. In fact, technically there is no such thing as an 0207 number, an 0203 number or an 0208 number, just 020 numbers. 020 is the area code for London. The next part of the number then starts with a 3, 7 or 8, but that is not part of the area code, it is just how they are referred to for convenience. But all three are exactly the same thing – London phone numbers. Therefore, it doesn’t matter whether you buy a virtual 0207, 0203 or 0208 number from us, it is still an 020 number and therefore still a London phone number. Historically, 071 was inner London and 081 was outer London in the early 1990s. This became 0171 and 0181 respectively in 1995. In 2000, 0171 for inner London became 0207, and 0181 for outer London became 0208. The introduction of 0203 for the whole of London in 2004, plus more people now taking their numbers with them when they move has muddied the waters and means that as long as the number starts with 020, it doesn’t matter if it is followed by a 3, 7 or 8 – it’s a London number! The Virtual Number Company is now offering a 30 free day trial on its “Call Whisper” feature to allow clients with 0800 numbers, 0845 numbers, 0844 numbers and virtual phone numbers the opportunity to try before you buy. Marketing Director Jemma Fox said “Many clients don’t realise what an incredibly useful feature the ‘call whisper’ is until they try it. If you find after 30 days that you don’t need it, it’s not for you, then you can cancel the feature, but we often find that clients prefer to keep it because it is absolutely invaluable to them”. A call whisper is a short recorded message that is played to you when you answer the phone. You can choose what you what the message to say, so it can say “business call”, “0800 number call”, “call to your London phone number”, the name of your company, or anything you would like it to say. The people making the call don’t hear the call whisper, they only hear the phone continuing ringing for the few seconds it takes for the whisper to play. If you have lots of different numbers then different call whispers can be put on them. What is the point? Often, customers who have a virtual local phone number have more than one number. For example, they might have a central office in one area, but have several different virtual phone numbers for the different area codes surrounding them that they want to do business in, all pointing to the same phone system. In that scenario, the whisper could tell you what number was being called, so you knew where the person calling you was expecting you to be based. Another scenario is individuals who have more than one business. They might choose to have different phone numbers for their different businesses, but point them all to the same mobile phone or landline phone. In that scenario, the whisper could tell you what business the caller was calling. However, the most common use of the call whisper is to determine whether the incoming phone call is a personal or business call. If you only have one business, and have the virtual phone number for that business pointing to your existing mobile or landline phone, when the phone rings you won’t know if it is a business call to your virtual number or a personal call to your already existing phone number. The nature of the call determines the manner in which you answer the phone, so if you have a call whisper telling you it is a business call, you can answer in a professional manner with your business name rather than just “Hello”. The 30 day free trial is available to new and existing clients. New clients will be offered the option when ordering their numbers, existing clients can phone 0800 142 2166 to add the trial to their existing package. Call Whisper is one of a number of added value features offered by The Virtual Number Company, which also includes Auto Attendant, Call Recording and Fax to Email. The Virtual Number Company is delighted to announce that it will be greatly expanding its numbers by offering international toll free forwarding numbers. International toll free forwarding numbers operate in exactly the same way as the virtual local numbers that The Virtual Number Company offers for the UK, but are the freephone numbers for different countries rather than the area codes for different UK towns and cities. Currently The Virtual Number Company offers virtual local numbers for nearly 500 different UK towns and cities, allowing businesses to appear to be based in an area in the UK, whereas actually their premises might be somewhere else. For example, a company might be based just outside London, but have a virtual 020 number because they want to do business in London. People are far more likely to call a number they recognise because it is familiar to them. With international toll free numbers the same principle applies but internationally instead of just in the UK. So, if you want to do business in a country that you don’t have offices in, you can purchase an international toll free number for that country so that callers in that country recognise it as a toll free or freephone number, and then have it pointed to your offices in whichever country they may be. So, if you have offices in the UK, but want to do business in France as well, then you could have a French 0805 number advertised in France but pointed to your phone lines in the UK. That would encourage French customers to call you, as they would be calling a French toll free number, although you would need to make sure the person answering the call could speak French! The Virtual Number Company is offering international toll free forwarding number to over 80 countries. As with the virtual local numbers, they can be pointed at any UK landline or mobile phone, but can also be pointed at any phone in the world. Most popular numbers include for the USA and Canada in North America, for France, Germany, Italy and Spain in Europe, for Australia and New Zealand in Australasia, and for China and Japan in Asia. Announcing the launch, Marketing Director Jemma Fox said: “This will help businesses who want to do business abroad, but who don’t want to have offices all over the world. For many companies, particularly service based companies, it is not necessary to have offices in every country, so this will save businesses a lot of money. Businesses now operate in a global market, and these numbers reflect that”. If you have a virtual London 020 number and you sometimes use a fax machine then you might want to consider ordering a London 020 fax-to-email number to accompany your phone number. There are a number of reasons why having a fax to email number is a good idea. Firstly, because if you use fax machines quite often then fax to email will make the process or receiving a fax more efficient. Instead of having to keep checking the fax machine to see if a fax has arrived, fax to email sends faxes straight to your email inbox, thus you only have to check for faxes whilst checking for your normal emails. Secondly, fax to email is better for the environment, makes your company more energy efficient and therefore saves you money. With a normal fax machine you have to leave it switched on all day and all night, all year, even when out of the office, to make sure that if someone sends you a fax, it can be received. This uses a lot of electricity, as well as paper, ink and toner when it spits out lots of sheets of paper, often of pages you don’t need. By receiving the fax as a PDF in your emails, you can print it out if you wish to, only print out selected pages if you need to, or save it in your email inbox or in a folder on your PC, thus meaning you can have it filed with your other records on your computer and meaning it’s not left on a shelf gathering dust in an office separate from all your other work on your computer that is connected to it. If you are using a virtual London phone number it is often the case that you are wishing to appear to have a presence in London whereas you are actually based just outside of it, because offices and property are cheaper outside of London. Getting a virtual London fax-to-email number means that you won’t therefore give out a London phone number to people, and then have to give out a fax machine number with a Guildford area code for example when someone wants to send you a fax. Getting a London fax to email number is also a fantastic opportunity to modernise your business. We’re all the same – we have an outdated fax machine in the corner of the office, don’t see the point in buying a new one because not that many people use it anymore, but can’t possibly get rid of it because there are still a few people who fax you, and it looks bad if you say you don’t have a fax number. The Virtual Number Company’s Director of Marketing, Jemma Fox, said: “For small companies wanting to do business in London, the virtual London number is a great idea, because it gives them a London presence but allows them to have offices just outside of London to save on their overheads. The London fax-to-email number is a nice little accompaniment to that, so that the phone number matches the fax number, but it is also good for the environment, good for efficiency and good for your wallet, so a great investment all round”. Virtual London numbers are becoming increasingly popular, especially with the London Olympics coming up and the Queen’s Diamond Jubilee next year. London has one area code – 020 – which is currently followed by a 3, a 7 or an 8, to make what are commonly referred to as 0203, 0207 and 0208 numbers. The benefits of virtual London phone numbers have been much discussed, and centre around the fact that is London is the capital of the UK, that London has around 12.5% of the UK’s population living in it, that London is the financial centre of the UK as well as the leading city of many of the UKs businesses, and that therefore London is the place to do business in the UK. Yet on the opposing side, London is the most expensive place to live in the UK. 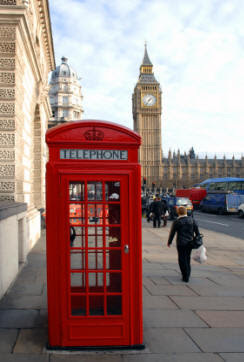 This is why a virtual London phone number is so popular – because it can make your business appear to be London based, thus giving your company an added gravitas – without actually being based in London, thus saving your company a huge amount of money in London rent, not to mention living in London and spending vast amounts of money on London transport. What is often forgotten is that, although a virtual London phone number is a fabulous piece of technology in its own right, it can be improved even more with a wide range of added value features, which are also available on The Virtual Number Company’s other virtual local numbers. These include Call Whisper. As virtual 020 numbers are pointed to existing landline or mobile phone numbers, you don’t know if the incoming phone call is calling your original phone number or your virtual London number unless you have a call whisper. This is a short recorded message that is played when you pick up the phone to tell you know which number the person is calling. The Voicemail feature offered by The Virtual Number Company is another great feature, as it not only acts like a normal voicemail, but emails all voicemail messages, including numbers of people who don’t leave messages so that you don’t miss out on any calls. Call Recording on virtual 020 numbers is a particularly popular added value feature, as you can record all your calls, have them emailed to you, and then play them back as much as you want or file them for future reference. Very useful to make sure you don’t forget or overlook any details in a phone call. The full list of features available is listed on The Virtual Number Company website. For anyone out there feeling the pinch and hoping for a little financial relief, don’t look to BT! The telecoms company announced earlier this week on 26th August that from the 3rd December they will be increasing their call charges for residential customers by 5%. This will be the second increase BT has made this year, and the third in 14 months, having increased their call charges by 9% in April, and by 10% a year ago. Commenting on the news, Jemma Fox, Marketing Director of The Virtual Number Company which provides non-geographic phone number and virtual London 0203 phone numbers said: “This news is rather surprising to say the least, coming hot on the heels of the previous BT price hike. People out there are really struggling to make ends meet at the moment, you would think that BT would want to help them, but they seem to be doing quite the reverse. It would be understandable if BT were making losses and were struggling, but they announced in July that their before tax profits for the three months of April, May and June were up by 20% to £533million. I know that a 5% rise is roughly in line with inflation, but as there has already been a 9% hike this year already, you would think that BT would cut their customers some slack”. The price of a UK daytime call will increase from 7.6p per minute to 7.95p per minute, whilst evening calls will increase from 1p per minute to 1.05p per minute. Line Rental for customers paying by Direct Debit will increase from £13.90 to £14.60 per month, and call set up fees will increase from 12.5p per call to 13.1p per call. These are what customers are charged for calls that are outside of their plan. The most popular of these plans are the Unlimited Anytime Plan, which will increase from £4.70 to £4.90 per month. BT said that these prices will now be frozen until 2013, so effectively they are getting 2012’s rises in early. Surprisingly, they also scrapped the discount that they had in place for paperless bills, although existing customers will still be able to retain their discount. However, there is some good news as calls to mobile phones will not increase. BT announced that daytime calls to T-Mobile, Vodaphone, Orange and O2 phones will remain at 11.3p in the daytime and 5.3p in the evening. But, there was no such guarantee that these prices will remain frozen until 2013, so look out for prices rises at some point in the future. Many consumer groups have expressed their disappointment at the price rises, following so soon after major energy price increases. “If this is the first time that a customer has called then the first voice that they hear will be the voice of one of our receptionists through the optional feature. Therefore, even though we aren’t part of our company, it is important that the voice they hear conveys what you want it to convey, which is why we are now adding voice samples to our website, so that you can hear the voice of the person who will make the first impression on your customers”. “The same principle applies to our call answering service. Our call answering service involves our receptionists answering your calls either full time or when you are unable to answer all your calls and need an overflow service. If our receptionists are the first people that your customer speaks to, then they get their first impression of your company through us, so it is important that you are happy with the voice that they will be hearing”. It is even more important to a customer that they hear something at the end of the phone, rather than the phone just continuously ringing. For that reason, one of the optional features outlined above, or the call answering service mentioned, give your company a far more professional appearance than a phone that is never answered. “Competitions are always held for the new voice of the speaking clock because even though it only says a few brief words, a voice can say a lot about an organisation in a very short amount of time” says Fox. “What may seem like the smallest, most insignificant fact can put a customer off, and in these uncertain times, you cannot risk losing even one customer”. The Virtual Number Company explain some basic facts about one of the most popular phone numbers available at the moment – the virtual London 020 number. Virtual London phone numbers are proving to be particularly popular at the moment, no doubt because of the London 2012 Olympic Games in less than a year’s time. That, coupled with Queen Elizabeth II’s Diamond Jubillee means that London will be the place to be in the summer of 2012. Why are they so popular? Well, despite the collapse in property prices, London prices have managed to stay high, so it is still incredibly expensive to rent or buy a property in London. However, London is the place to do business – with around 12.5% of the UK population based in a very small area, it is no surprise that companies want to be London based, just without the London costs. This is the key reason why people choose to use a virtual London phone number from The Virtual Number Company. It is a bit like commuting ... people want to work in London because there are more jobs, better jobs, the pay is better etc., but cannot afford to live in London so live outside of London and commute in. The same principle applies with phone numbers – companies get a virtual 020 number in order to appear to be based in London, but actually are based outside of London and just operate within the capital city. So, now seems a good time to explain a few basic details about them. The Virtual Number Company provides a range of 0203, 0207 and 0208 virtual telephone numbers. These can be ordered from The Virtual Number Company anytime between 9am and 5pm, Monday to Friday (excluding Bank Holidays). The friendly, helpful staff there will connect you within minutes. Virtual Numbers are pointed at an existing landline or mobile number, so no new equipment or phone system is needed. There is a one off set up fee charge of £15.00 + VAT, and then a monthly rental fee of £5.00 + VAT. You then pay 2.9p + VAT per minute to receive the call if the number is routed to a landline, but 8p + VAT per minute if the number is routed to a mobile, but The Virtual Number Company uses per second billing, so you only pay for exactly what you use. Therefore, if you’re on the phone for 2 minutes 20 seconds and your London phone number is routed to a landline, you are charged 7p, not rounded up to 3 minutes and charged 9p. At the end of the month, this mounts up to quite a bit. Only 30 days notice is needed to cancel the contract, and discounts are available for multiple numbers. The Virtual Number Company also offer a range of extra features to accompany their 0207 and 0208 London numbers, and offer fax-to-email London numbers as well. Commenting on London numbers, Marketing Director Jemma Fox said “It’s no surprise that virtual London phone numbers are so popular at the moment. Everyone wants to get in on the London Olympic games, and this is a much cheaper way of doing it than actually owning or renting property in London. Are friendly team will help you set one up or tell you more about it if you’re not sure, so just give us a ring”. Having a virtual 020 London number can save your company a lot of money if you want to operate in London but not have London based offices says Jemma Fox of The Virtual Number Company. Everyone knows about the postcode lottery, but for a business, the far more important code is actually the telephone area code, particularly the London 020 number. Jemma Fox, Marketing Director of The Virtual Number Company, explains why. So, having a local phone number is important. As around 1 in 8 of the UK’s population live in London, the London area code is by far the most important area code. It is probably the most well known area code in the country, aside from non-geographic numbers such as 0800, because such a large proportion of the UK population lives in London. The official code for London is 020, but most people include the first letter of the next section of the number to 020 to make three different London codes: 0207, 0208 and 0203. With such a high population density in the capital, a large amount of business is carried out there, and therefore, for anyone wanting to do business in the London area, having a London area code is vitally important. However, having premises in London to operate from is incredibly expensive to say the least. A company may want to operate in London, but doesn’t necessarily need premises to carry out its work from, or may prefer to base itself outside of London in order to save on rental and other costs. But, they still need a phone number to be contacted on, and just giving a mobile number doesn’t look particularly professional. The solution is a virtual London phone number. The Virtual Number Company specialises in providing nearly 500 different virtual telephone numbers for towns and cities across the UK, including London 0207, 0208 and 0203 numbers. These are phone numbers with area codes for these different locations which are pointed to existing landlines or mobile phones. There is no need for any new telephone equipment, it is just routed to an already existing phone. So, if you are a company that doesn’t need offices to carry out your business from as you’re on the road all the time, you can still have an 020 number pointed to your mobile phone so that London customers instantaneously see that you are a business that operates in London, and you don’t have to give out a mobile phone number. Likewise, if your business is outside the M25, you can still appear to be a London company as you operate there, but can do it from cheaper premises.